WILMINGTON, N.C. - In its final game on U.S. soil, the USA Baseball Collegiate National Team had four pitchers combine on a six-hit shutout and the offense plated six runs in the seventh inning as it defeated Japan, 7-0, to win the three-game International Friendship Series on Tuesday at Buck Hardee Field. The U.S. previously beat Japan, 10-0, on Sunday before a 7-5 loss evened the series on Monday. The win improves Team USA's record to 11-2-2 on the summer as it prepares to head to the Honkbal-Haarlem Baseball Week in the Netherlands, July 11-20. "It is always big to win a series," Team USA manager Dave Van Horn (Arkansas) said. "As college players, these kids are kind of programmed to win two out of three, so today was a big game for us, especially mentally since we don't play again until Friday. It was big to win the series. Japan is a very good team that plays great defense, they can run and they just keep running arms out at you - left and right. "I enjoy watching Japan play. They play hard, they are very aggressive, they handle the bat well and they really charge the ball well in the outfield. There are a lot of things that they do that I wish our team did a little bit better. We are going to play them two more times at a minimum over in the Netherlands so it's good to get to know each other a little bit. Tate Matheny (Missouri State) paced the U.S. offense with a 3-for-4, two-RBI performance. He drove in the game's first and last runs with RBI singles in the fourth and seventh innings. Bryan Reynolds (Vanderbilt) also had a pair of RBIs in the contest, putting the game out of reach with a two-run double in the seventh. A pair of Cal State Fullerton teammates - Justin Garza and Thomas Eshelman - led the way on the mound with Garza striking out four in five scoreless innings and Eshelman adding two more shutout stanzas. Tyler Jay (Illinois) and Ryan Burr (Arizona State) pitched the final two innings to close out the contest. Matheny got the scoring started in the fourth when he laced a two-out RBI single up the middle to put the U.S. up 1-0. That is where the score would remain until Team USA pulled away in the seventh by scoring six runs on three hits, four walks and a hit batter. The squad scored on an RBI double by Chris Okey (Clemson), a bases-loaded walk by DJ Stewart (Florida State), sac fly by Mark Mathias (Cal Poly), two-run double by Reynolds and an RBI single by Matheny. CNT: Japan evens series with 7-5 win over U.S.
WILSON, N.C. - The USA Baseball Collegiate National Team committed four errors, leading to six unearned runs, as Japan evened the International Friendship Series with a 7-5 victory on Monday at historic Fleming Stadium, home of the Wilson Tobs of the Coastal Plain League. "It wasn't one play that cost us this ball game, there were three, four or five that weren't very characteristic of the talent on this team," Team USA manager Dave Van Horn (Arkansas) said. "I think there was some lackadaisical effort and a lack of focus. As a coach, a lot of times after a win like we had last night, you worry about that. "We knew Japan was a lot better team than they showed last night and we knew were going to be in for a battle today and sure enough there it was. I like the fact that we still swung the bats pretty well, we had 10 hits and hit the ball hard a few other times, but the issue offensively was that we stuck out 10 times. That can't happen, these guys are too good. Hopefully we play a lot better tomorrow." 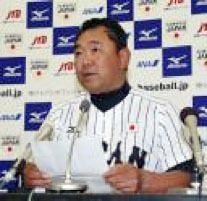 After falling, 10-0, in the series opener, Japan (1-1) made Team USA (10-2-2) pay for every miscue in the second game, fighting off two U.S. comeback attempts before plating four unearned runs in the sixth inning to break a 3-3 tie. The Collegiate National Team got two runs back a half inning later but that would be as close as it would get. Alex Bregman (LSU) paced a 10-hit U.S. offensive attack by going 2-for-4 with a two-run home run and three runs scored. Dansby Swanson (Vanderbilt) was 3-for-5 in the contest, while DJ Stewart (Florida State) and Zack Collins (Miami) had two hits each as well. Kyle Funkhouser (Louisville) gave Team USA 5.2 strong innings but was the tough-luck loser after allowing four runs - just one earned - on four hits while striking out seven. Dillon Tate (UCSB) came out of the bullpen to pitch the final 2.1 innings, allowing one unearned run on three hits while fanning a batter. The Collegiate National Team will close out its stay in the States on Tuesday when it concludes out its series against Japan with a 6 p.m. showdown at Buck Hardee Field in Wilmington, N.C. Cal State Fullerton right-hander Justin Garza will get the nod on the mound for Team USA. THOMASVILLE, N.C. - The USA Baseball Collegiate National Team rolled to a series-opening win, 10-0, over Japan on Sunday as it scored three runs in each of the first two innings and Carson Fulmer (Vanderbilt) and Andrew Moore (Oregon State) combined on a two-hit shutout in front of a packed house at Finch Field in Thomasville, N.C., home of the High Point-Thomasville HiToms of the Coastal Plain League. "Carson came out in the top of the first and you could just tell that he had electric stuff," Team USA manager Dave Van Horn (Arkansas) said. "He threw eight pitches and we were right back in the dugout. That set the tone for our offense, we came out swinging the bat well and the floodgates opened pretty quick. I thought we did a great job of running the bases today, going from first to third, and put a lot of pressure on them. "We had some big hits, including a couple with two outs that drove in some runs and extended some innings. It seemed like everybody contributed one through nine. Today was a good start for us in this series. Hopefully we can keep swinging the bats like this and go out and win the series tomorrow. Team USA took note of the firework displays it has seen the past few nights and put on a show of its own offensively, pounding out 17 hits with seven different players knocking in at least one run. Vanderbilt teammates Dansby Swanson and Bryan Reynolds, as well as Clemson catcher Chris Okey, all posted three-hit performances. Mark Mathias (Cal Poly) and Tate Matheny (Missouri State) both launched solo shots for their first home runs of the summer with Mathias driving in a team-high three runs in the win. On the mound, Fulmer (1-0) set the tone from the get-go, retiring the first nine batters he faced. He would finish with six shutout innings during which he allowed just one hit and struck out four. Oregon State right-hander Andrew Moore picked up his first save as he twirled three scoreless frames to complete the shutout victory. Team USA jumped out to a 6-0 lead after two innings and never looked back. An RBI single by Reynolds and two-run double by Mathias staked the squad to a 3-0 advantage after one before Swanson, Reynolds and DJ Stewart (Florida State) all recorded RBIs in the bottom of the second. After an opposite-field bomb by Matheny in the fifth, the U.S. put the game out of reach with another three-run frame in the bottom of the seventh as Mathias launched a leadoff home run and Christin Stewart (Tennessee) and Okey had two-out RBI doubles. The Collegiate National Team and Japan will return to the diamond on Monday when they travel to Wilson, N.C., for a 7 p.m. showdown at Fleming Stadium, home of the CPL's Wilson Tobs. Louisville right-hander Kyle Funkhouser is scheduled to start on the mound for Team USA.